Welcome to ariyalur.co.in. Ariyalur is the one of the fastest growing cities in Tamil Nadu.Ariyalur is a municipality and headquarters of Ariyalur District in the state of Tamil Nadu. Ariyalur is a municipality and headquarters of Ariyalur District in the state of Tamil Nadu. It is rich in limestone resources. Big industrial houses like Birlas (UltraTech Cement), India cements, Dalmia cements, Madras cements have their cement units here. Tamil Nadu government's TANCEM factory is in Ariyalur and is the first factory to establish the cement production in ariyalur and later nearly as far as six more factories have emerged in and around Ariyalur providing employment opportunity to the people. Ariyalur district consists of 2 divisions viz., Ariyalur and Udayarpalayam, three Taluks viz., Ariyalur, Udayarpalayam and Sendurai and six blocks. 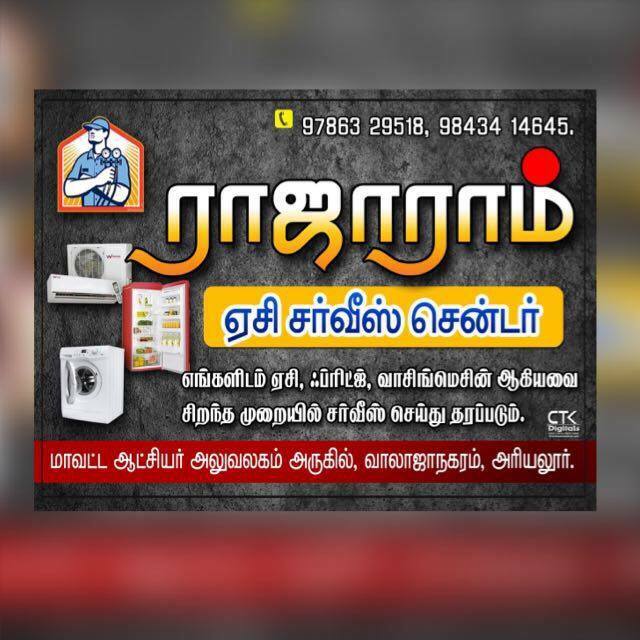 Welcome to Ariyalur City Business and Classifieds Directory.Ariyalur Business Directory is currently offered as a free Online Service with optional paid promotion. Ariyalur Directory is the most convenient way to find people, products, service and business. If you have a product or a service to offer in Ariyalur, this is the best place to promote your business with confidence. Add your Company and Contact details in the Ariyalur Business Directory.